...my super cool vintage medicine cabinet! Gosh, I bought this thing at an antique store in Richmond two... three years ago. Maybe. Doesn't matter. And it sat in a box in my mom's basement with a bunch of other items I'd forgotten about. Then this past winter, as you may recall, my mom moved. Which meant I had to sort through those boxes and take most of them to live with me at my apartment. Translation: a lot of precious memories got thrown away. Translation: Stuff I thought was a precious memory but was actually crap, just like my mom said it was, got thrown away. Touche, mom. Translation: Listen to your mother. Moving on... I found this charming guy and thought how I could put him to use instead of hiding him away for a few more years. So I threw two nails into the wall above the latrine, plopped it up there, and tada! Extra bathroom storage! Which all of us apartment-dwellers know is a luxury. p.s. West Elm, my hand towels and bath mat are really starting to look desperate. Please re-continue this line so I can buy new, fluffy, unfaded linens. 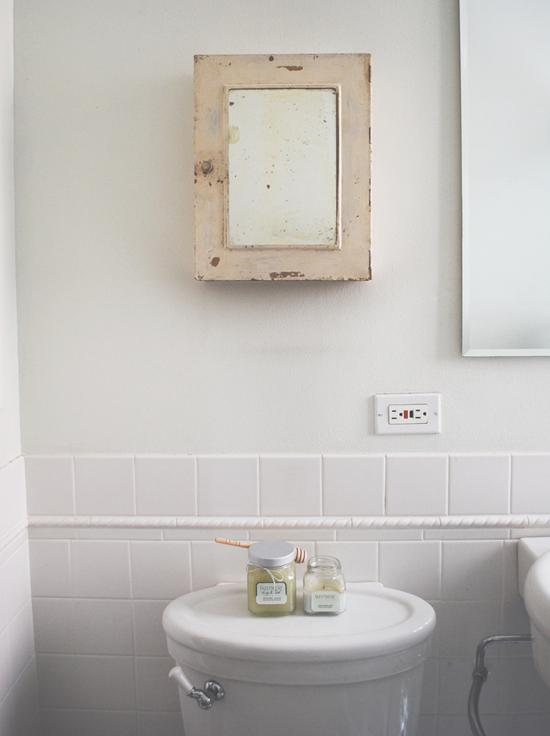 *Note: the mirrors above the sink are also a medicine cabinet. But it's untidy contents are staying hidden from your eyes for now. i love how ur bathroom has that cool relaxation feel to it..and of course the vintage cabinet is looking pretty awesome!!! your bathroom is so light Alaiana, rally beautiful! I am so jealous of your vintage medicine cabinet! It is a very cute addition to your bathroom...and very practical! What a lovely bathroom. 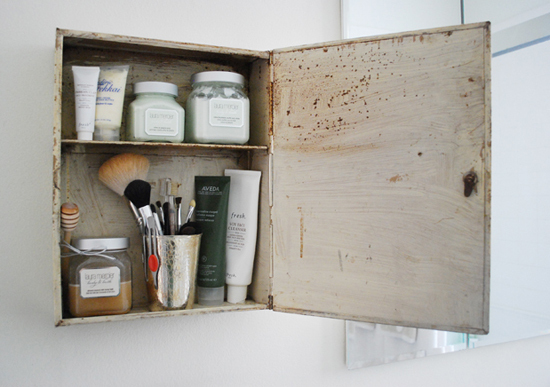 It's so airy and fresh looking and the vintage medicine cabinet is so cute! What a beautiful little find. My mom is moving this summer as well and she's already started begging me to the come to the burbs to go through my crap... its going to be a problem. I can see it now. 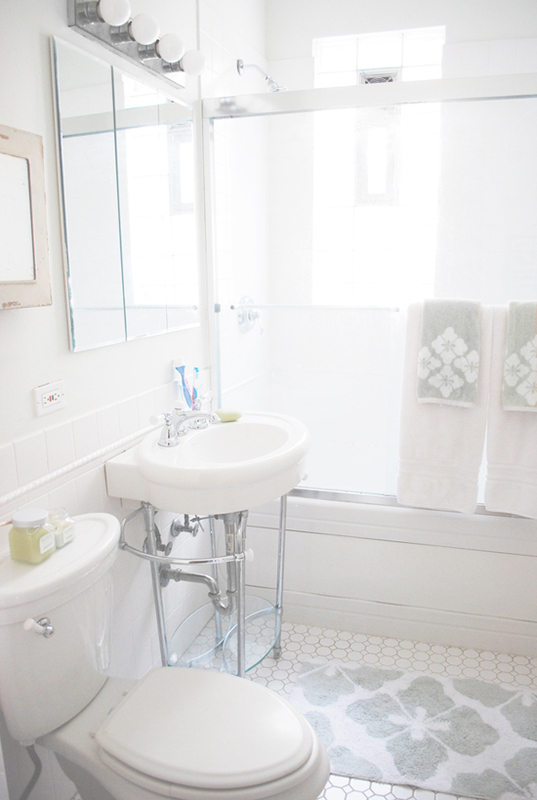 I think I would love getting ready in your bathroom, so much natural light, and white, and clean! 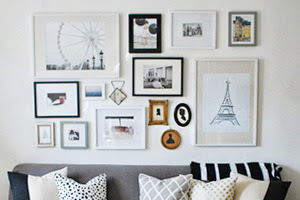 Love that little nugget on the wall, it looks pretty open and closed! your bathroom is so fresha nd clean looking! 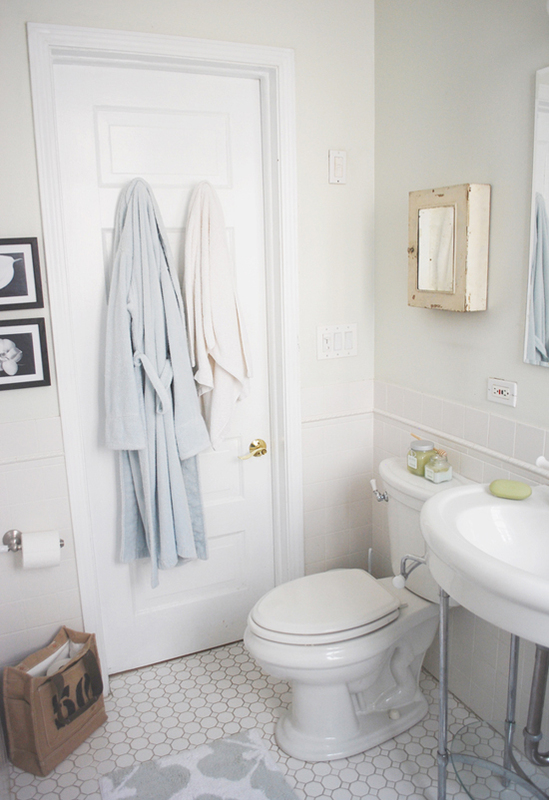 i love the west elm towels and the med cabinet is so cool. How cute. 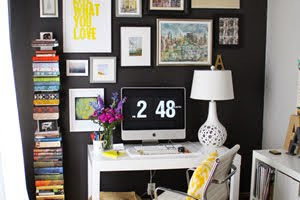 Love that it is so simple ! It looks great Alaina. It could work in a kitchen for spices also. Love the character you've managed to put into an apartment bathroom! Very pretty! What a shame that is hibernated in the box so long. I know what you mean about junk versus treasures. I've gotten rid of so much STUFF over the last year since moving 3 times. your bathroom looks great, love that piece! :))) Oh and all your cool items in it..I see Laura Mercier? So cute! Love this little cabinet! Wow - way to go! Your bathroom looks amazing!!! Can you come with me to Louisville to help me decorate our new house? I mean seriously, you've got good taste! So great to meet you! Hope to see you again! Enjoy this sunshine we're having! Sorry I did not get to make it to the meet up on thursday! But I hope to meet you at the next one! I love the medicine cabinet! Can you come style my bathroom! I am making a list of needs right now! Just like peppermint ice cream. 'Serts are what I call desserts. For me, springtime is synonymous with pink.